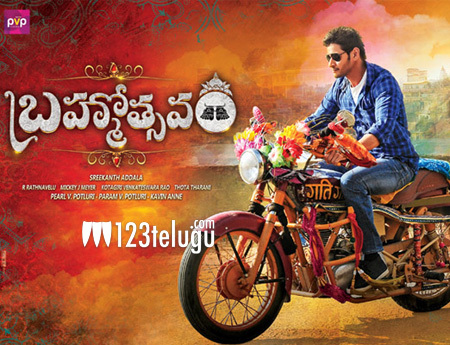 Now that the release of Mahesh Babu’s Brahmotsavam is nearing soon, the last minute formalities are on full swing. Latest update now reveals that the film will go for its censor screening on Monday. Being a family entertainer, the hopes on this project are humongous and the trade pundits are expecting some huge openings. Already, the music of the film has caught on big time and have created a good hype for the project. Directed by Srikanth Addala, Brahmotsavam has Kajal, Samantha and Prinatha as the female leads.